This delicate watch in a blazing white colour features a sleek and simple numberless dial which contrasts accented with gold markers and bezel. With a thin leather strap, this delicate timepiece will look great with a white dress for those warm, summery days. Amazing! 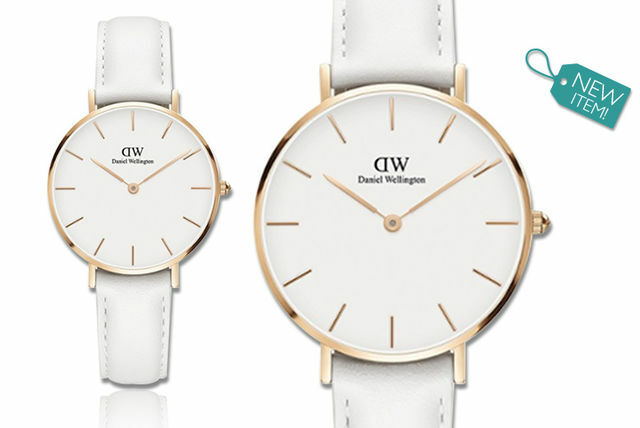 Get a ladies’ Daniel Wellington DW0189 watch. Sleek and clean eggshell white dial with gold bezel and markers. Rain-resistant up to 3 ATM. Let us save you the trouble with this stunning watch by Daniel Wellington! Made from stainless steel and fitted with a quartz movement and black leather strap, the watch simply shimmers with elegance, with a beautiful white dial allowing for a sophisticated and clear display. 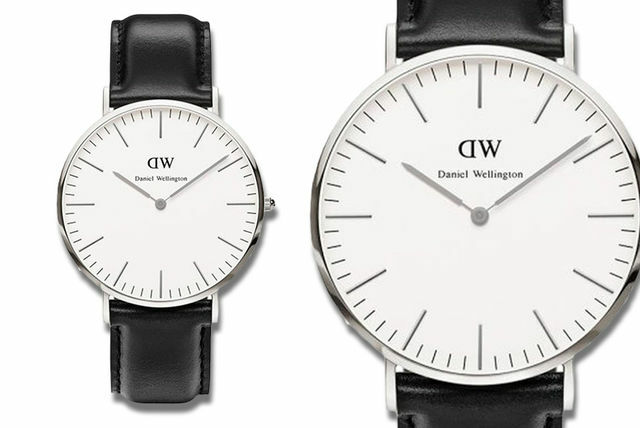 Get a stunning Daniel Wellington men’s Sheffield watch! Quartz movement with a black leather strap. With an elegant and clear white dial display. Perfect for all manner of occasions. Simple, suave and full of class. This timeless timepiece will look the part on sophisticated ladies and suave gentlemen alike. The ultra-thin silver case is complemented by a spartan black dial and NATO strap for a watch that is bold yet subtle, elegant yet practical. 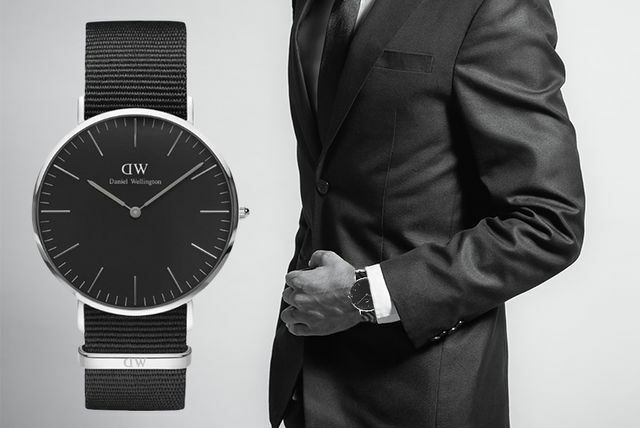 Adorn your wrist with the Classic Black Cornwall watch from Daniel Wellington. A bold yet subtle combination of a black dial and strap with silver case and hands. Comes attached to a classic, comfortable and interchangeable NATO strap. Powered by Japanese quartz movement. Water-resistant up to 3 ATM. A sleek and stylish unisex timepiece that will add the finishing touch to any look.